Learn all about the important factors involving food allergies and how to properly address the issue with effective treatments. Food is one of the five most common categories of allergy triggers. When the body has an allergic reaction to a specific type of food, ingesting even the smallest amount can trigger a chain of bodily reactions. Common among both children and adults, food allergies sometimes require a drastic change in one’s lifestyle, to take all the necessary measures to avoid eating these allergens. When a person consumes a certain type of food that’s identified by the body as being harmful, the immune system triggers an allergic reaction. The trickiest thing with food allergies is that even the smallest amount of improper food can lead to problems such as abdominal pain or swollen airways. There is a typical confusion made between intolerance to certain types of food and a food allergy. The latter is a much more severe and threatening reaction, whereas intolerance does not affect the immune system and is mainly a cause of discomfort. Another major difference between intolerance and allergy is that people who have intolerance for certain foods may actually be able to consume them in small amounts, without any health risks. When the body detects an allergen threat, it releases an antibody that’s typically referred to as “immunoglobulin E”. Every time that body detects that same antibody coming from a specific type of food, the process is repeated, and it is this precise combination of chemicals that end up causing an allergic reaction. 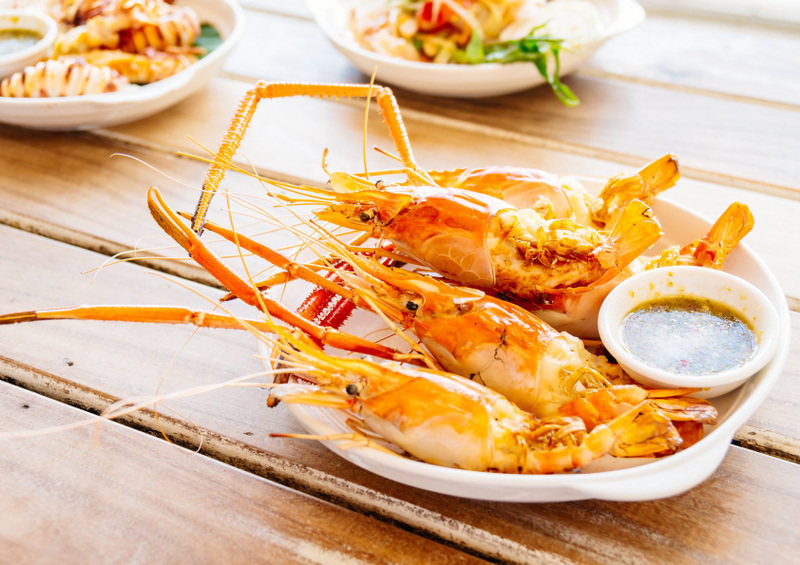 While there is a large variety of foods that cause allergic reactions, eight of them always stand out of the crowd: shellfish, fish, grains that contain gluten (like wheat, oats, barley, etc. ), soy, peanuts, eggs, and milk. Some of the most uncommon foods that trigger allergies are spices, seeds, meat, gelatin, and corn. People who suffer from hay fever are more prone to experiencing pollen-food allergy syndrome. The proteins found in foods such as nuts, vegetables or foods are associated by the body as being similar to the ones coming from certain pollens. In medicine, this process is known as cross-reactivity. For instance, people who are allergic to birch pollen, can also have an allergic reaction to fruits such as pears, peaches, cherries, apples, and more. In some special cases, a person can start developing symptoms of an allergic food reaction right after consuming said food and starting to exercise. This is a problem that could be prevented by refraining from food a few hours before exercising. There have been reports of severe cases of exercise-induced food allergies, where the person started developing hives and even anaphylaxis. Symptoms are varied, but they determine whether the allergic reaction is a mild or a severe one. While the symptoms vary from person to person, they generally include dizziness, fainting, swelling of a different body part, difficulty in breathing, red spots on the skin, or a sense of mouth itch. In cases of a more severe reaction, a person could end up having anaphylaxis, which is characterized through a sense of suffocation, severe blood pressure drop, a rapid pulse, or a sense of blocked throat that makes breathing troublesome. When someone goes into anaphylactic shock, urgent treatment is required. Else, the person could end up in a coma, or the heart could stop beating. Medicine has yet to develop a conclusive an accurate test to help diagnose a certain food allergy. As a consequence, a doctor turns to several other methods to determine or rule out an allergy. A patient’s symptoms are first to be analyzed, as well as the family’s history of allergies. A physical examination is typically combined with a skin and a blood test, to get the best results possible. During a skin test, doctors will expose the patient’s skin to a sample of the food suspected to have caused the allergic reaction. The skin is pricked, to allow the substance to get underneath it. If the patient develops a visible reaction (which is typically in the form of a raised bump), that is a potential sign that the person might be allergic to that type of food. However, this test is believed to be inconclusive, and other tests are generally required to determine with certainty if there is indeed an allergic reaction. The blood test helps measure the immunoglobulin E levels inside the body. With a blood sample for the patient, doctors of lab specialists test different foods to determine how the immune system responds. Another way to diagnose an allergic reaction to a specific type of food is through an elimination diet. Foods that are suspected to act as triggers are eliminated from the patient’s diet for a short period of time, and then added back. This can help determine or rule out the involvement of that specific type of food on the body of a person. As far as treatment is concerned, it differs according to the severity of the reaction. Minor to mild allergic reactions is typically treated with either over-the-counter or prescribed antihistamines. When a person experiences a severe allergic reaction, epinephrine should be administered right away. A trip to the emergency room is also mandatory, as the patient needs to stay under observation for the next hours. Aside from the medical treatments mentioned above, there are also some lifestyle changes that could positively impact those who suffer from food allergies. Every time you go shopping, carefully read the label of the foods you purchase, to make sure they don’t contain any of the allergens that are bad for you. Also, if you ever have any doubt on whether a certain type of food triggers an allergic reaction, it’s best to avoid consuming it altogether, until you know for sure.